Anyway, it's an artistic room. 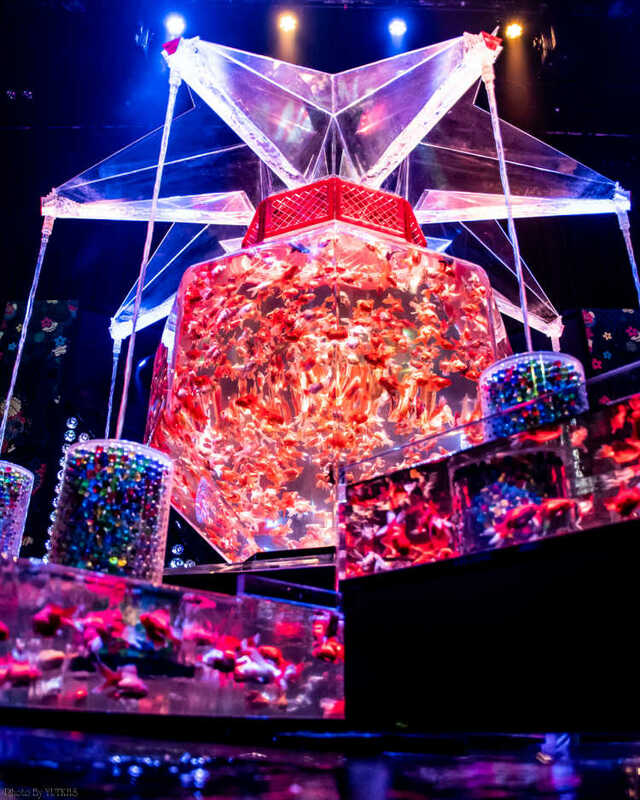 A modern art of light, music and goldfish. Though they're exhibited at only a large room and a passage, you can enjoy the art enough. 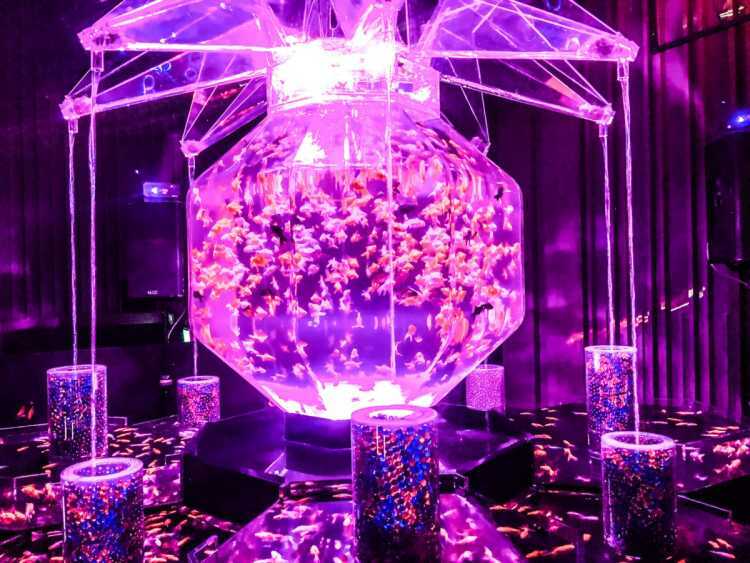 Only in summer at Nihombashi, Art Aquarium make its appearance. 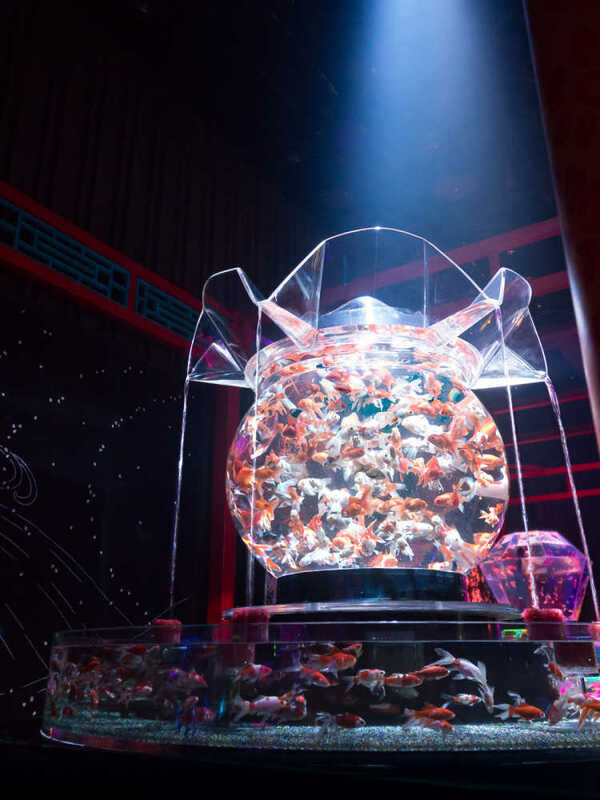 Specializing on goldfish, many artistic aquariums to evoke the Japanese spirit get together. 'The superb beauty and experience of underwater' that presented by pioneers of water-art, shouldn't be missed. 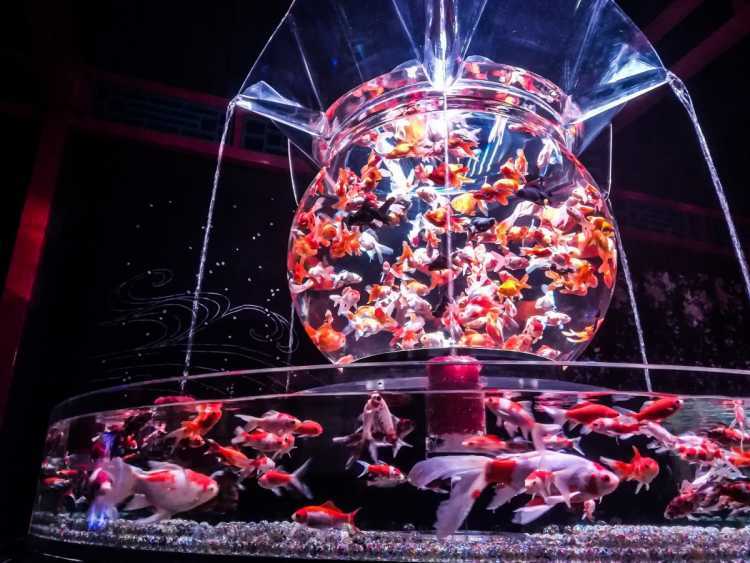 Goldfish exhibition you can enjoy with five senses is like an art. I had an impressive experience that stay my mind forever.